Hello! My name is Levi Edler and I love solving and teaching the Rubik's Cube. Join me for a class, birthday party, corporate event, private lesson or just for a chat about cubes: anyone can learn and it's fun! CubingMKE's main goal is to spread cubing in the city of Milwaukee through classes, competitions, and other cubing related events. Classes are taught by Levi Edler at various locations, including The Waxwing and the Milwaukee Rec. Dept. 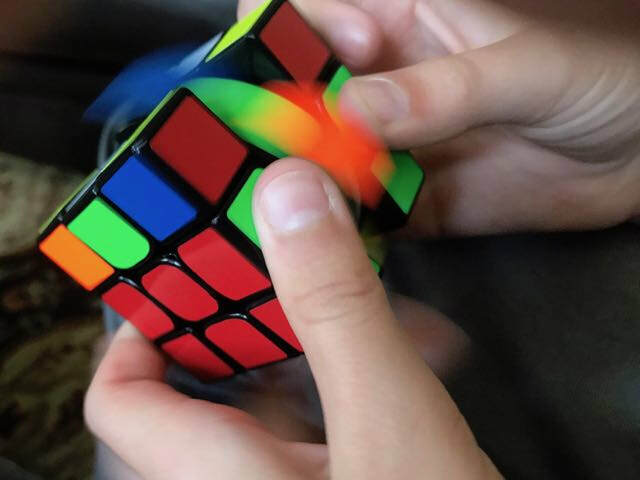 Stay on top of upcoming classes or add a cubing workshop to a party or corporate event. I can help speedcube competitors, and any puzzle solver who is interested, improve their 3x3 solve times. Learn more.